Presented here are works that are primarily guideboks for travelers to the battlefields of the First World War. Often, however, battle histories have a brief — and sometimes very informative — chapter on visiting that particular battlefield. Those works can be found in the other sections of the Bookshelf. 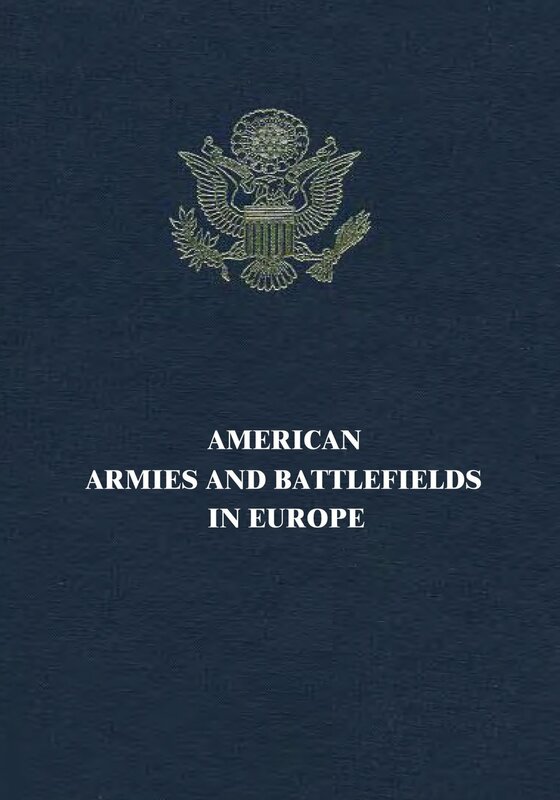 American Armies and Battlefields in Europe. American Battle Monuments Commission. . August 18th 2015. . . A combination history, photoalbum, atlas and battlefield guide for the American Expeditionary Force, this classic is now best ordered as part of the 3-CD set, The U.S. Army in World War I, offered by the U.S. Army Center for Military History at their website. American Battlefields of World War I: Château-Thierry -- Then and Now, Vol. 1: Enter the Yanks. David C. Homsher. Battleground Productions. January 1st 2006. 304. 9780970244307. First in a new series of guides, the first new guides to American battlefields in many years. 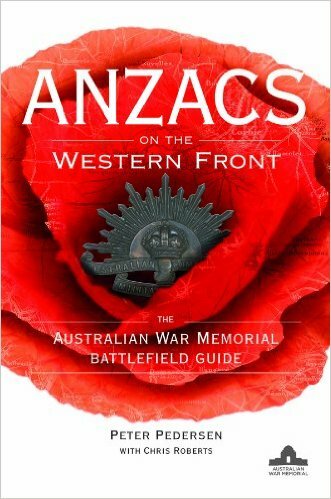 ANZACS on the Western Front: The Australian War Memorial Battlefield Guide. Peter Pedersen. Wiley. December 19th 2011. 600. 9781742169811. 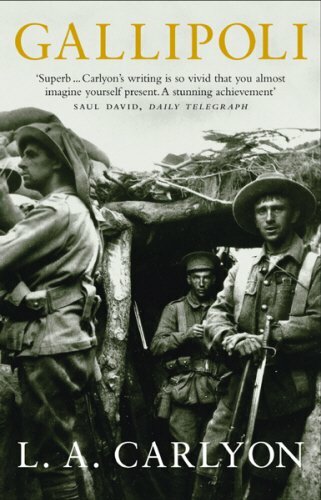 Walking and driving tours of 28 battlefields (every major Anzac engagement) including tactical considerations and excerpts from Digger soldiers’ writings. 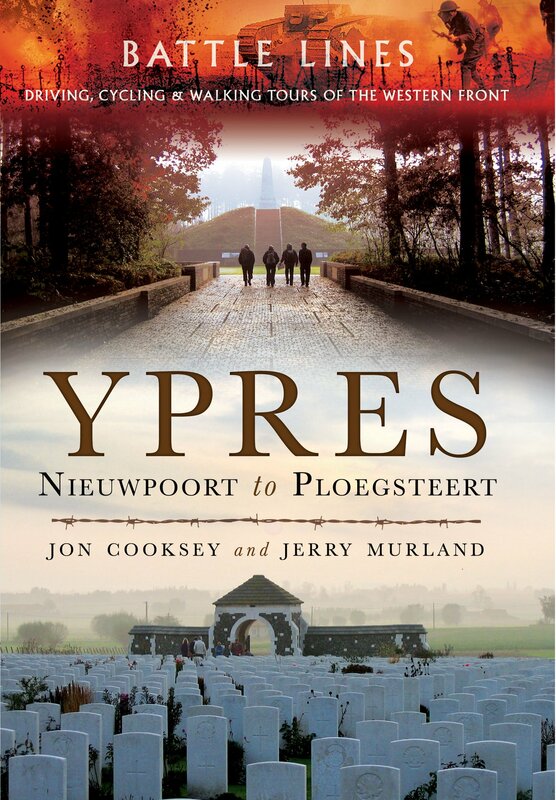 Battle Lines: Ypres: Nieuwpoort to Ploegsteert. Jon Cooksey, Jerry Murland. . January 1st 2013. 240. 9781848847934. First in a series of new Pen & Sword walking, cycling and motoring battlefield guides. 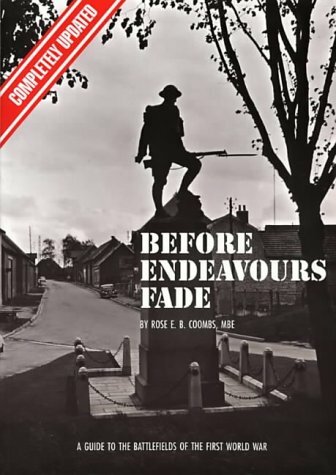 Before Endeavours Fade: Guide to the Battlefields of the First World War. Rose E. B. Coombs. . November 15th 1994. 240. 0900913851. Revised and updated edition of a highly respected guide first published in 1983 and written by a longtime Imperial War Museum staffer. 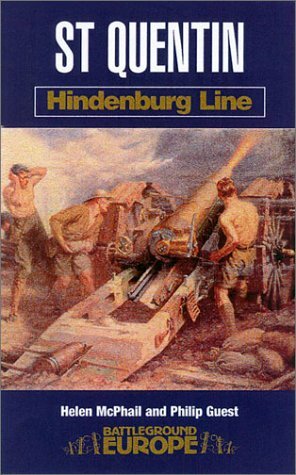 Includes all the major BEF battles and American battlefields in the Argonne and at St. Mihiel, as well as French battles on the Chemin des Dames, at Champaign, Verdun, and as well as battles along the Yser and near Ypres. Cambrai: The Right Hook. Jack Horsfall. . January 1st 1999. 176. 0850526329. Das Begleitbuch zu Ernst Jünger: 'In Stahlgewittern'. Nils Fabiansson. E.S. Mittler. 2007. 158. 9783813208887. A reader’s companion and battlefield guide to Ernst Jünger’s Storm of Steel (1920). Fields of War: A Visitor’s Guide to Fifty Key Battlefields in France & Belgium. Robert J. Mueller. French Battlefields. January 1st 2009. 407. 9780982367704. A guide to 600 years of warfare in northwestern France and Flanders; from Crecy to Bastogne. Order from sales@frenchbattlefields.com or fax (224) 735-4378. Flers. Trevor Pidgeon, Nigel Cave. . April 28th 2001. 160. 0850527783. Fort Douaumont: Verdun. Christina Holstein. Casemate Publishers. April 1st 2010. 230. 9781783032358. 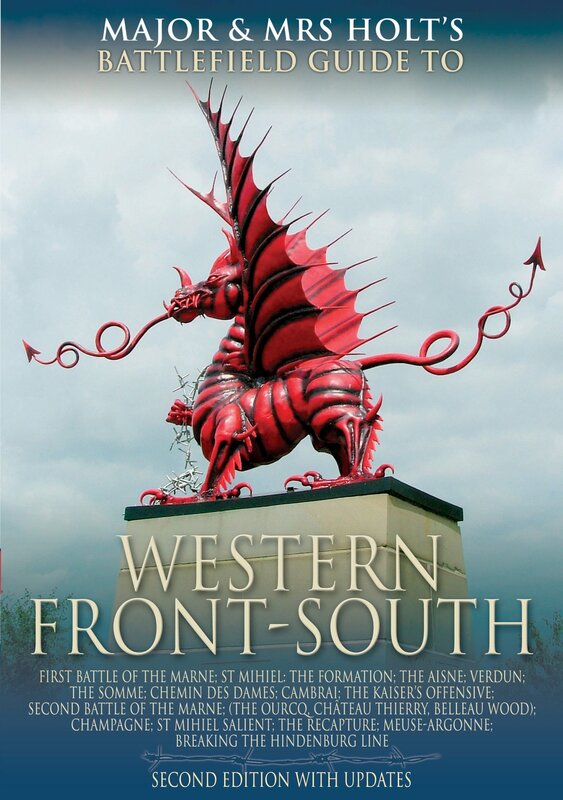 Second, revised edition of a fine guide and history book by WFA a member who specializes in the Verdun battlefields. Gallipoli. LA Carlyon. Bantam. October 1st 2003. 752. 0553815067. Based on the authors detailed personal walking examination of the battlefield. 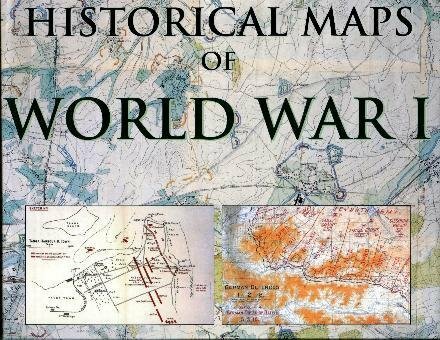 Historical Maps of World War I. Simon Forty. PRC Publishing. August 1st 2004. 144. 1856487342. One hundred twenty five contemporary maps including trench maps covering the entire war with emphasis on the Western Front, but including Palestine, Gallipoli, Salonica, the Italian Front, the Caucasus and East Africa as well as the war as sea. Also contains graphs and maps showing orders of battle, railways, locations of hospitals and supply dumps, U-boat sinkings, shell supplies and other salient features of the conflict including war aims. Major & Mrs. Holt’s Concise Illustrated Battlefield Guide to the Western Front - North. Tonie Holt, Valmai Holt. Pen & Sword Books. August 19th 2014. 368. 1781593973. 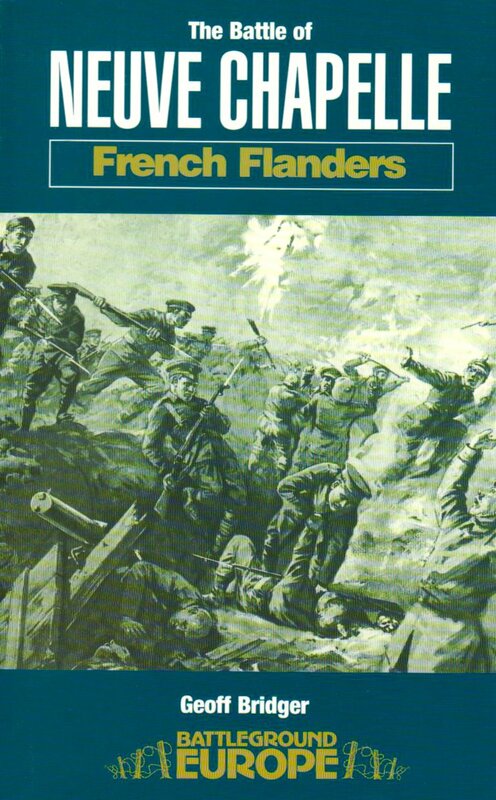 An excellent Guidebook to the Ypres, Yser, Vimy Ridge, Arras and other Flanders battlefields with concise descriptions of the battles from 1914 to 1918 and directions for tours and routes. Major & Mrs. Holt’s Pocket Battlefield Guide to the Somme Battles. Tonie Holt, Valmai Holt. Pen & Sword Books. August 2nd 2006. 112. 1844153959. Covers the 1916 battles, the Kaiser’s Offensive of March-April 1918 and the American-Canadian sectors of 1918. // Battlefield details capturing essential features and tourist information. Major & Mrs. Holt’s Pocket Battlefield Guide to Ypres and Passchendaele. Tonie Holt, Valmai Holt. Casemate Publishers. September 15th 2006. 128. 9781844153770. Includes 1st, 2nd and 3rd (Passchendaele) and 4th Ypres (Lys). Major & Mrs. Holts Battle Atlas of the WWI Western Front. Tonie Holt, Valmai Holt. Pen & Sword Books. May 1st 2008. 128. 1844154009. Covers Mons, Le Cateau, Notre Dame de la Lorette, The Yser, First Ypres, Neuve Chapelle, Aubers Ridge, Festaubert-Givenchy, Second Ypres, Loos, Fromelles, Vimy-Arras, Pesschendaele, Fourth Ypres, First Marne, St. Mihiel, The Aisne, Verdun, The Somme, Chemin des Dames, Cambrai, Kaiser’s Offensive, Château Thierry, Champaign, Meuse-Argonne, and the Hindenburg Line. Major and Mrs. Holt’s Battlefield Guide: Western Front - South. Tonie Holt, Valmai Holt. Pen & Sword Books. December 1st 2005. 360. 1844152391. 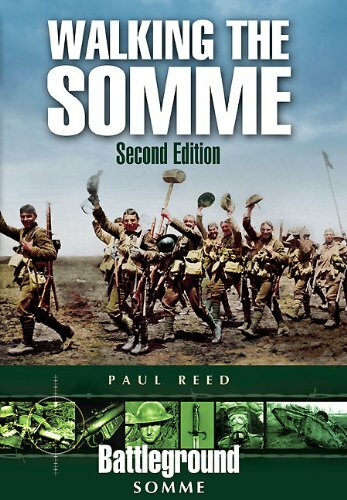 First and Second Marne, the Somme 1916, Cambrai, the Aisne, Verdun, the Hindenburg Line, St. Mihiel and the Meuse-Argonne among other battles and campaigns. Companion volume to an earlier guide to northern Western Front battlefields. 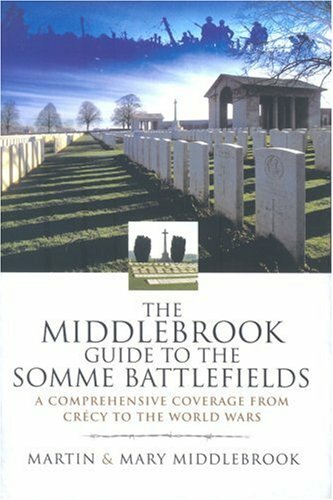 Middlebrook Guide to the Somme Battlefields. Mary Middlebrook, Martin Middlebrook. . October 1st 2007. 383. 1844155331. 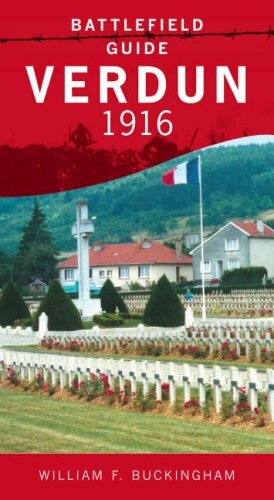 A new guide by the author of the iconic First Day on the Somme. Mons: 1914. Jack Horsfall, Nigel Cave. Pen & Sword Books. August 1st 1999. 192. 0850526779. Salient Points Four (Cameos of the Western Front). Tony Spagnoly. Pen & Sword Books. September 1st 2005. 146. 0850529328. 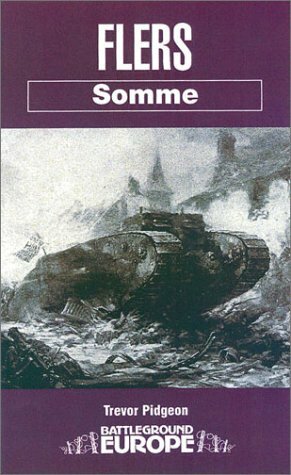 Another battlefield guide in the Cameos of the Western Front Series written by two experienced WWI historians and covering the Ploegsteert and Neuve Eglise sectors of the BEF line in Belgium. 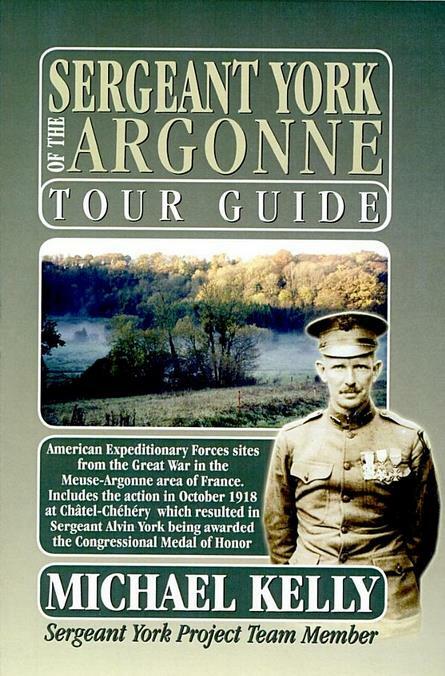 Sergeant York of the Argonne Tour Guide. Michael Kelly. . 2008. 76. 0955938600. A new, concise portable guide for battlefield travelers visiting the Argonne Forest and the now-well-marked site where the legendary Alvin York won his Medal of Honor in 1918. 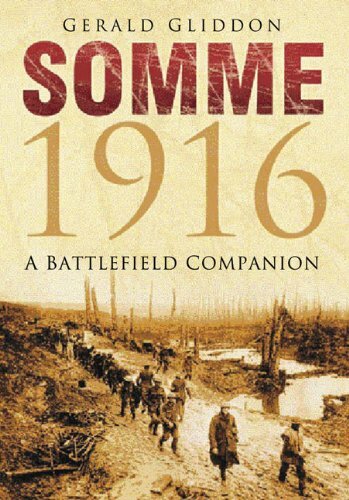 Somme 1916: A Battlefield Companion. Gerald Gliddon. The History Press. January 1st 2010. 560. 0752453351. A reference work first published as As the Barrage Lifts in 1987 and updated for the 90th anniversary of the Somme battle. 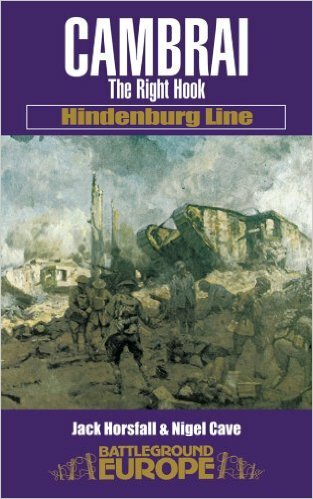 St. Quentin: Hindenburg Line. Helen McPhail, Phillip Guest. . January 1st 2001. 157. 0850527899. The Battle of Neuve Chapelle. Geoff Bridger. Pen & Sword Books. March 1st 1999. 144. 0850526485. 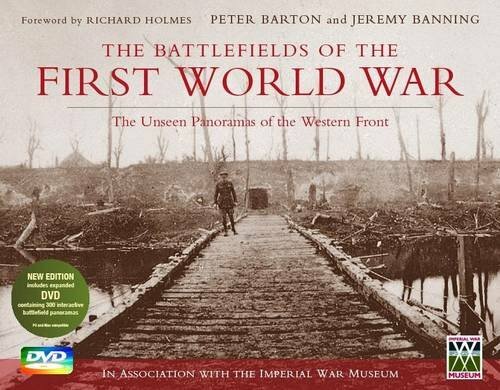 The Battlefields of the First World War: The Unseen Panoramas of the Western Front. Peter Barton. . November 14th 2013. . 1472111923. In cooperation with the Imperial War Museum with a foreword by Richard Holmes. Also published by Osprey under the title Battlefields of the First World War: From the First Battle of Ypres to Passchendaele. // Also published by Osprey under the title Battlefields of the First World War: From the First Battle of Ypres to Passchendaele. Covers British and Belgian sectors of the front from the North Sea to the Somme. The included CDs contain the 200 panoramic photos seen the book. Available from the publisher at www.constablerobinson.com or discounted at $65 from Barnes & Nobel. Highly recommended by WFA member John Hurst in Canada. 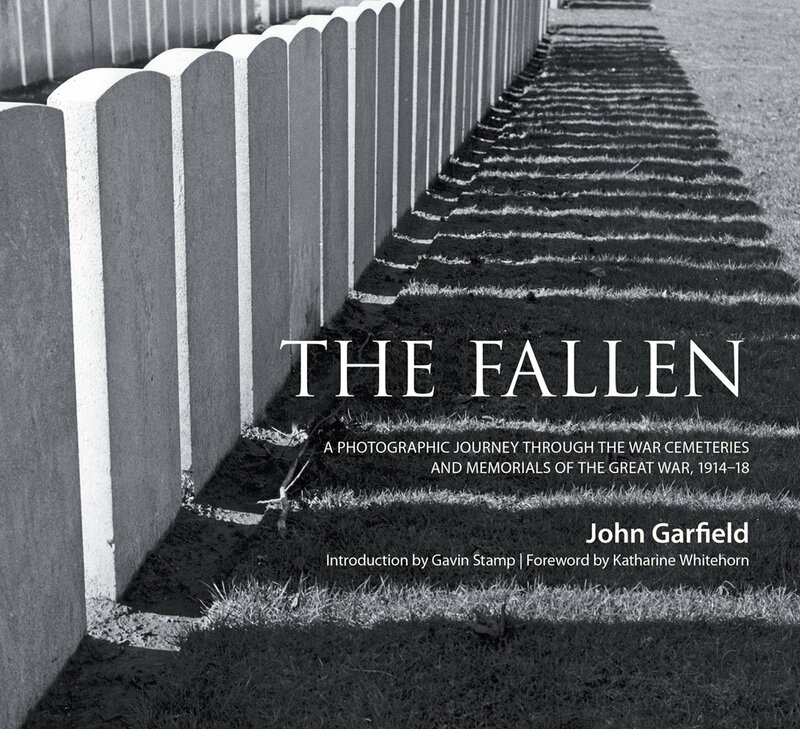 The Fallen: A Photographic Journey Through the War Cemeteries and Memorials of the Great War, 1914-18. John Garfield, Katherine Whitehorn. Spellmount. May 1st 2014. 168. 0750952040. 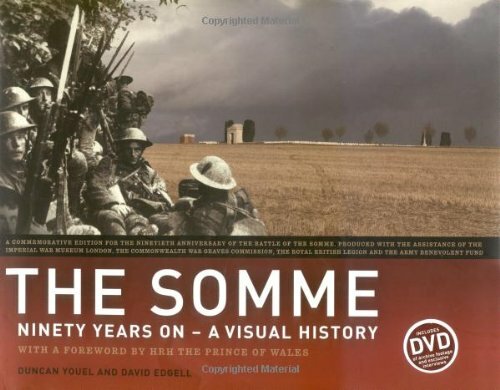 The Somme: Ninety Years on - A Visual History. Duncan Youel, David Edgell. Dorling Kindersley. June 1st 2006. 226. 9781405317474. A then-and-now photo history with a synopsis of the battle. 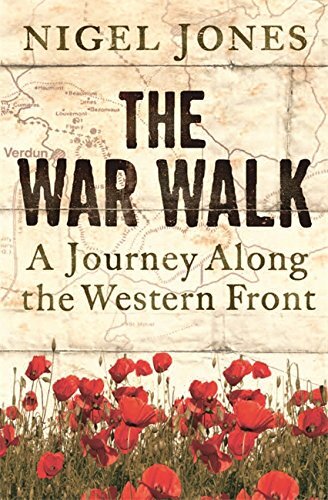 The War Walk: A Journey Along the Western Front. Nigel Jones. Cassell. August 5th 2004. 256. 0304366838. A combination of history, travel and personal anecdotes from a rapidly dwindling number of surviving veterans. 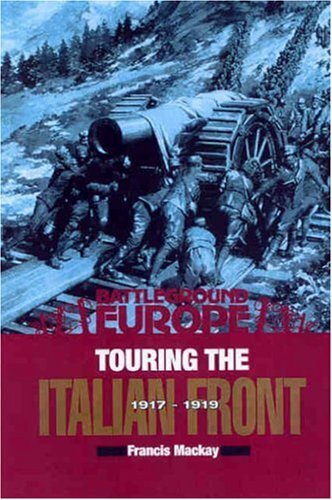 Touring the Italian Front, 1917-1919. Francis Mackay. Battleground Europe. March 31st 2003. 173. 9780850528763. 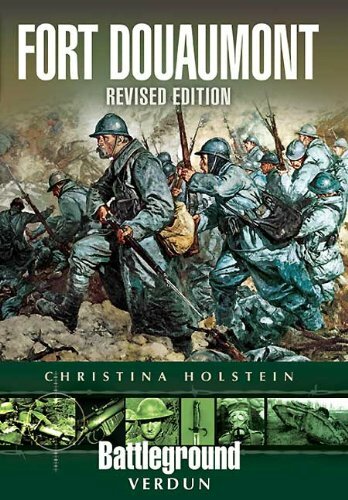 First published in 2002, this guide covers operations of French, British and American forces between November 1917 and the spring of 1919 as the reinvigorated and reinforced Italians rolled back German-Austro-Hungarian advances made during the 1917 Battle of Caporetto. 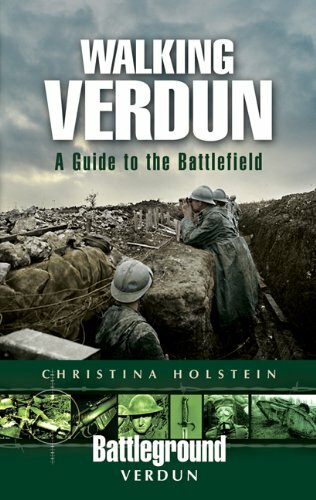 Verdun 1916: A Battlefield Guide. William F. Buckingham. . April 15th 2007. 192. 0752441485. Traces the history of Verdun from the iron age to modern times. Walking the Somme. Paul Reed. Casemate Publishers. 2011. 246. 9781848844735. A popular battlefield guide. Walking Verdun: A Guide to the Battlefield. Christina Holstein. . July 2009. 176. 1844158675. 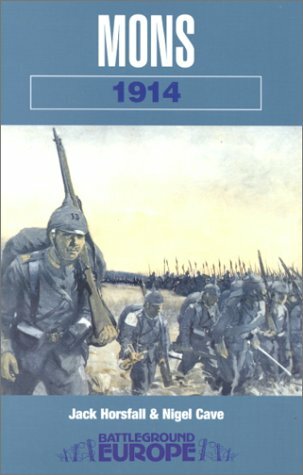 A new guide book from one of the most knowledgeable Western Front historians and guides. // A New work by long-time battlefield guide and WFA member who also wrote an earlier Pen & Sword book on Ft. Douaumont.